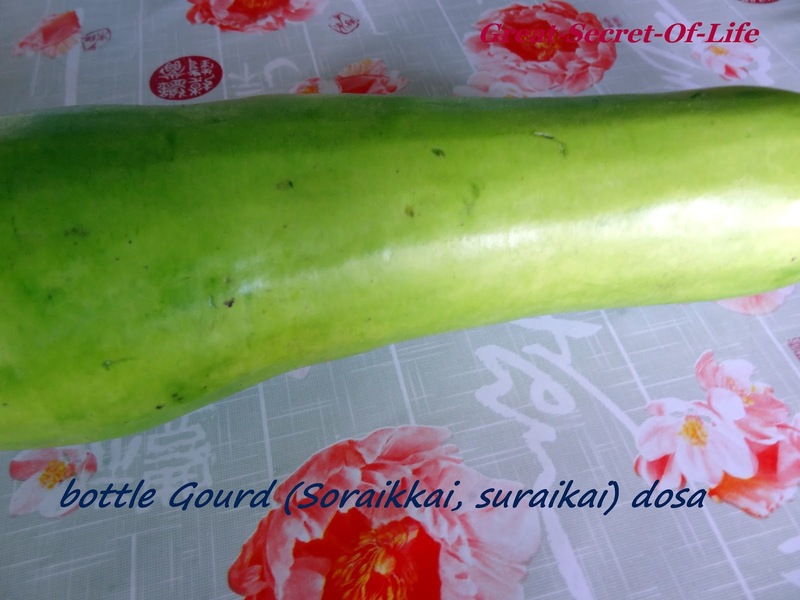 Wash and peel the skin of a bottle gourd. I have used 4 Cups. 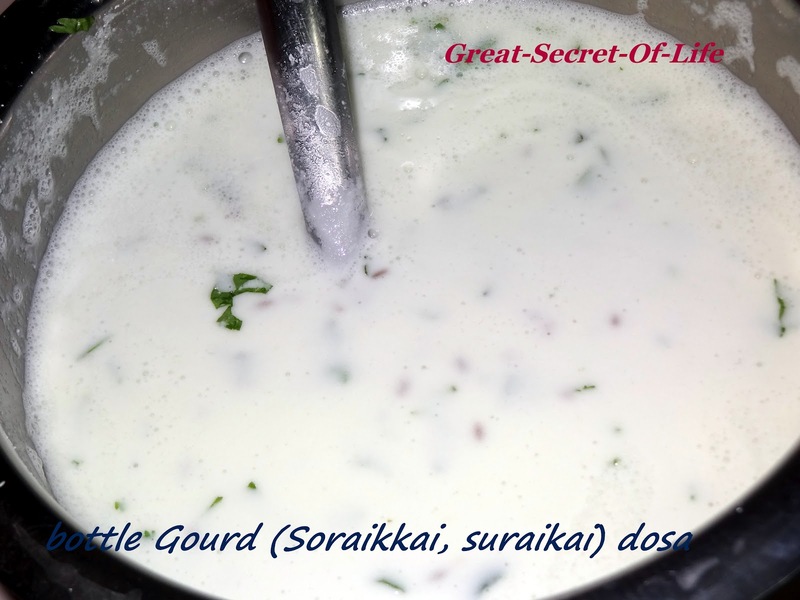 Discard the spongy stuff inside the gourd and use only the white flesh. Soak rice (Idli and Brown) for at least 3 hours in enough water. Grind the soaked rice, grated bottle gourd with green chilies and ginger, Curry Leaves. Grinding can be done using either a mixie or grinder. 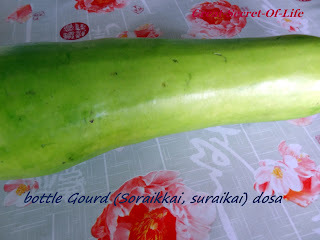 Add water carefully as bottle gourd is full of water content and that should be enough to run the blades. Grind to a semi-smooth consistency… not too coarse or too smooth. Add salt, cover and let sit for 1 to 1 1/2 hours for light fermentation. 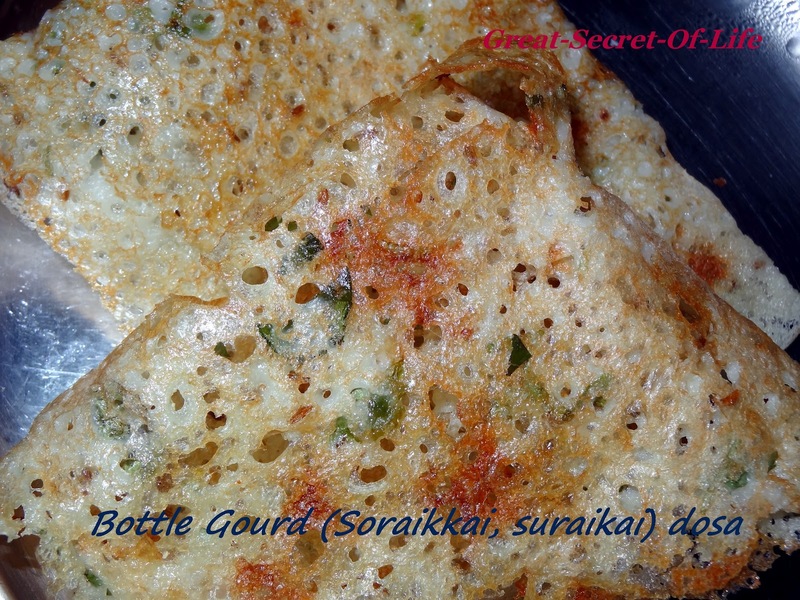 Heat flat Tawa and pour dosa from outer to inner part of thawa (same as how you do Rava dosa) Take 1/4 teaspoon Oil and sprinkle around the Dosa. 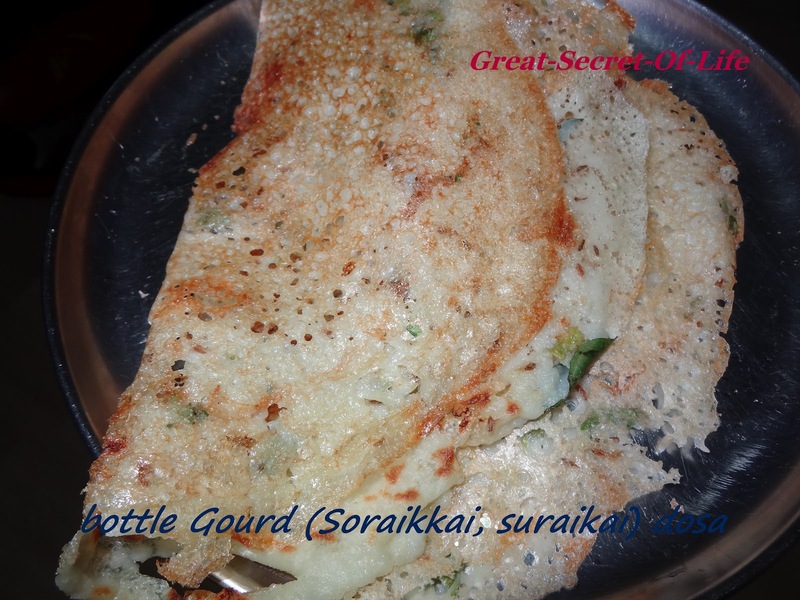 This dosai will turn slightly crispy but not like paper roast, pretty dense and chewy. Serve this with spicy chutney or podi. Hi, I would like it try it some time, did you grind the bottle gourd also, thanks. 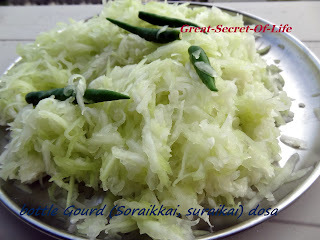 yes grind the bottle gourd also.. I have updated it. thanks for the feedback! good luck in your trying! It came out really good and was yummy also, thanks for the recipe.